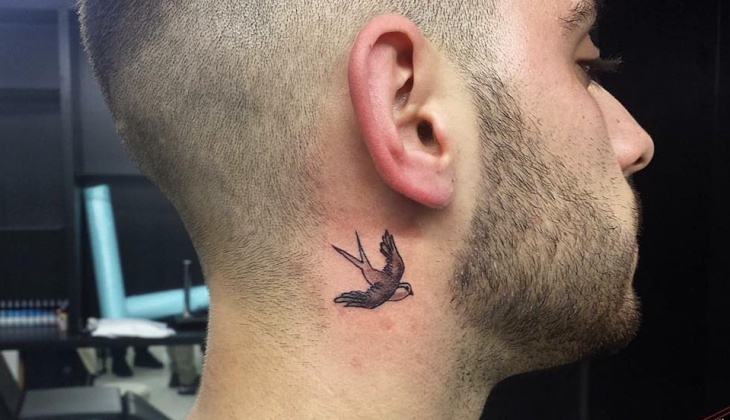 Flying bird tattoos are the most popular way to ink a body. 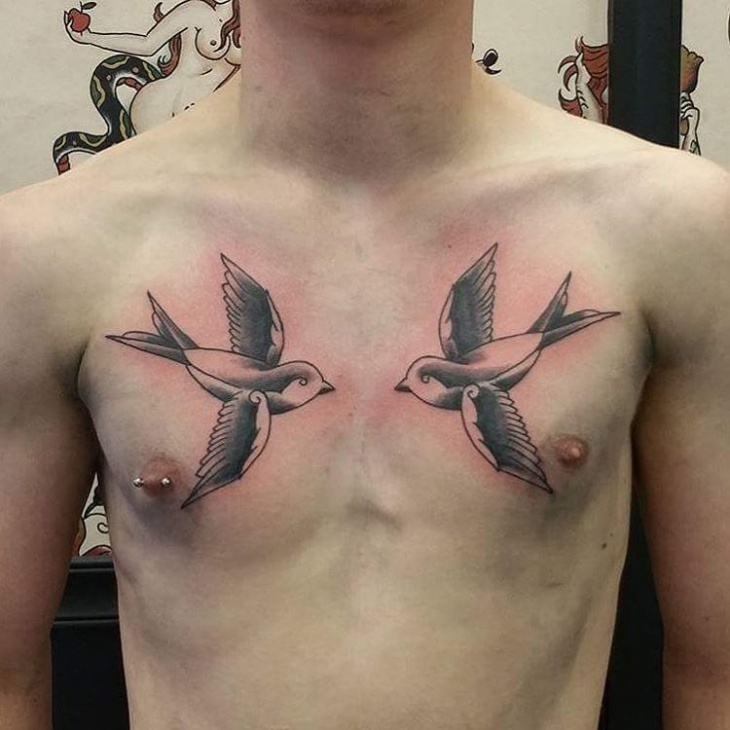 These tattoos are mainly done on a body area with ample space like the back, chest or even sleeves. Often linked with angels, you can opt to represent different birds migrating in a specific path. 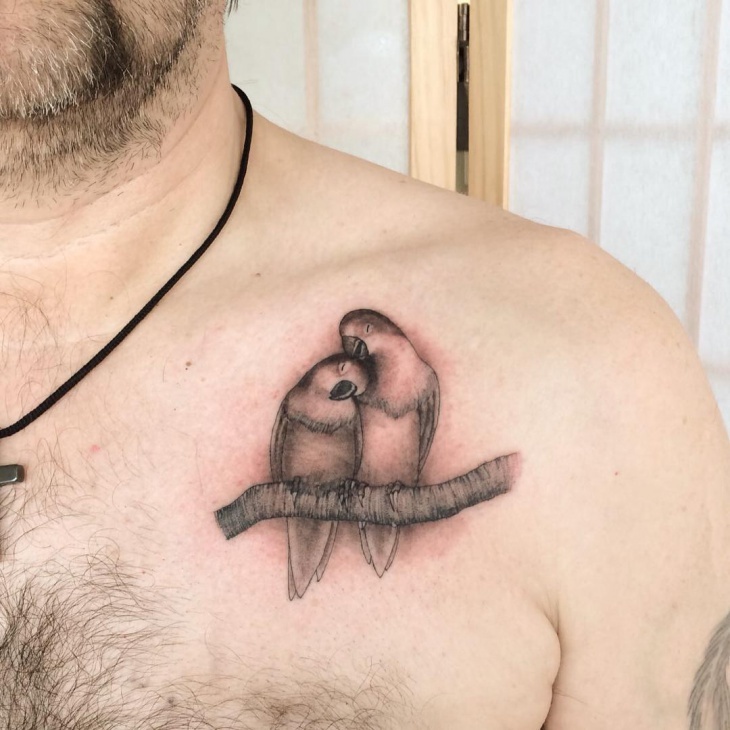 If you are in love, you can opt to showcase your love by getting two birds tattoo holding the love symbols. 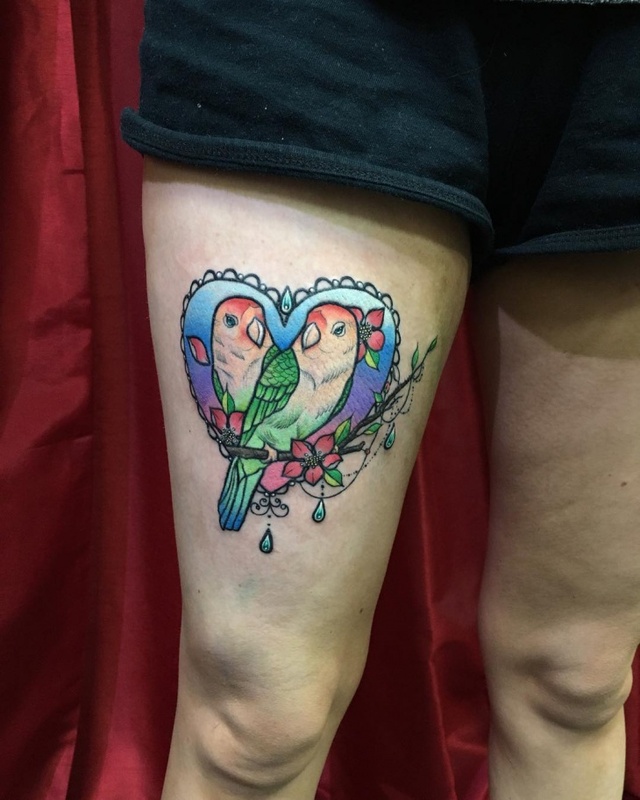 Two birds singing musical love notes is another way you can make a love bird tattoo. 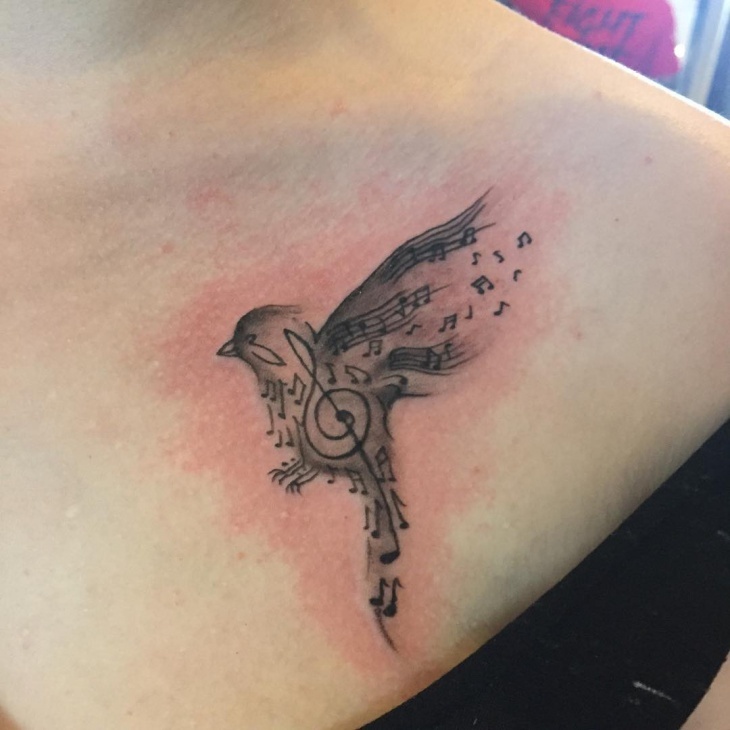 For a simple design, go for a bird tattoo that integrates a loves symbol. 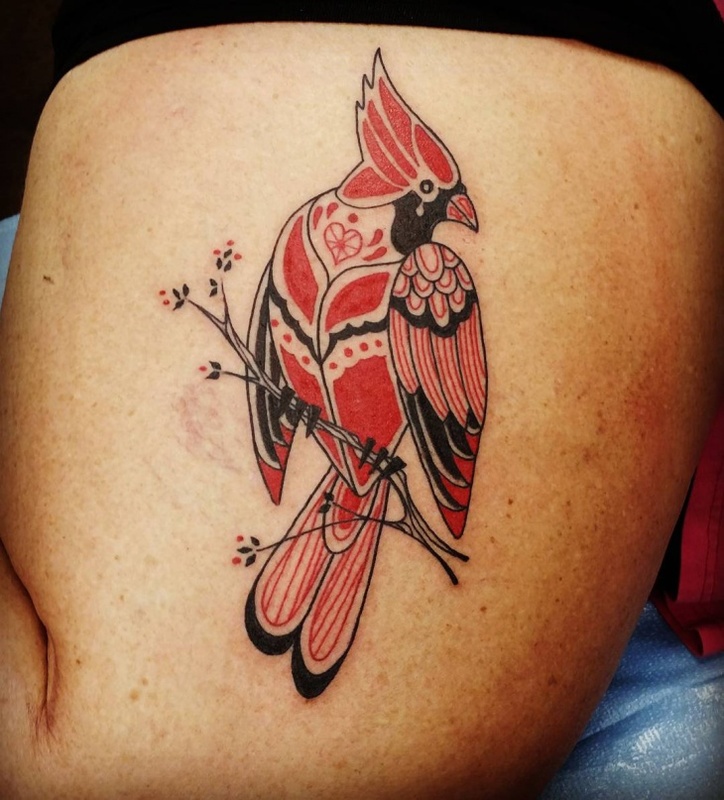 Whether you want one bird on the leg or many small birds on the necks, small bird tattoos have an authentic appeal. Because of their small size, you can ink this tattoo on a small body area such as feet, neck or finger. If you love watching animations, then you must know about the yellow tweety bird. 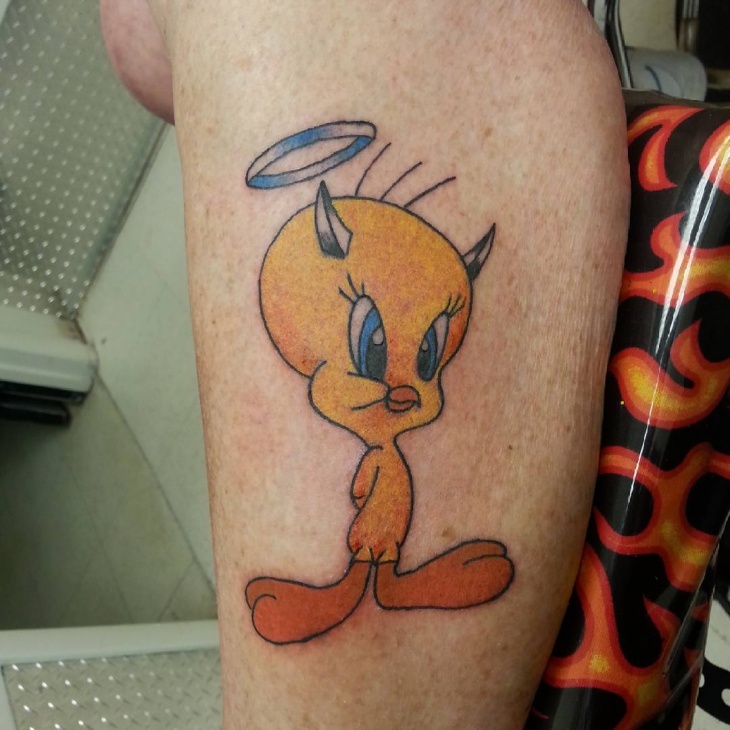 You can use reminiscence on your childhood memories by getting a tweety bird tattoo. 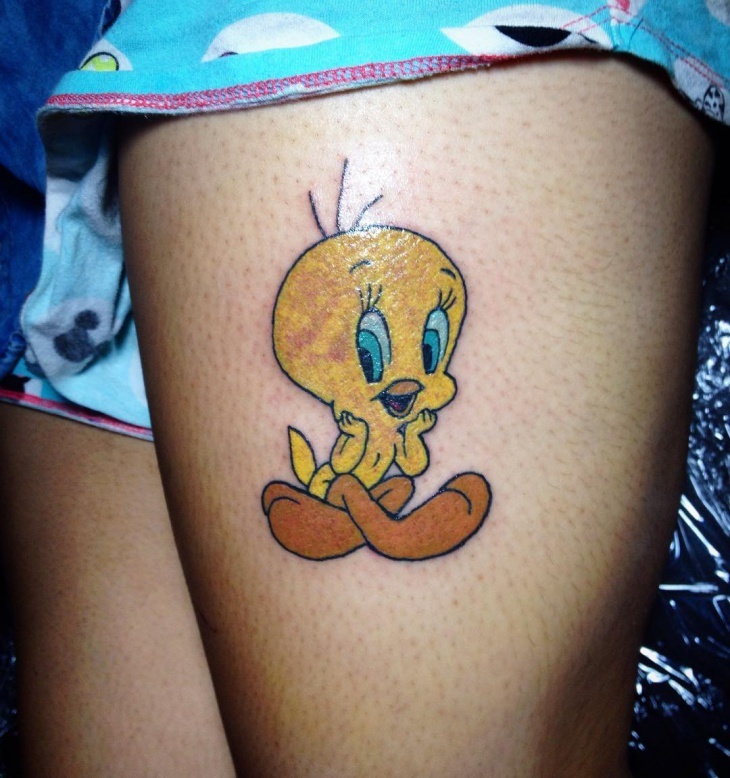 A tweety bird with flower tattoo will look amazing on girls, while a masculine tweety is perfect for men. 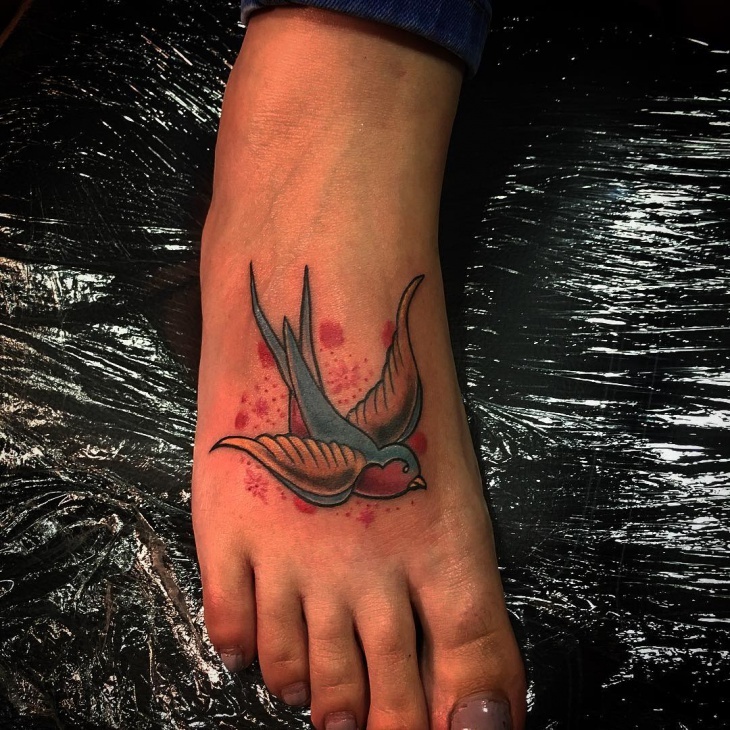 Swallow tattoos are popular with sailors who used to get this bird tattoo to depict that they will eventually come back to their loved ones. These birds also act as a signal for the sailor that a shore is nearby. 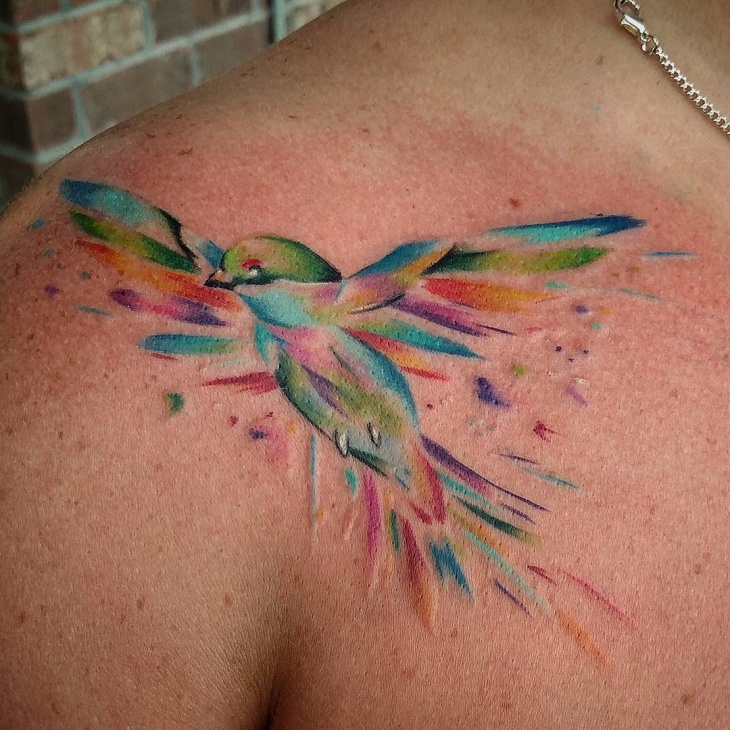 Add vibrant colors to help this tattoo to stand out. The Phoenix is a fascinating bird as it dies and is immediately reborn from its ashes. A phoenix tattoo is a symbol of rebirth, survival, and immortality. Chinese and Egyptian cultures hold this bird in high regards. You can choose a watercolor design or a simple black design. 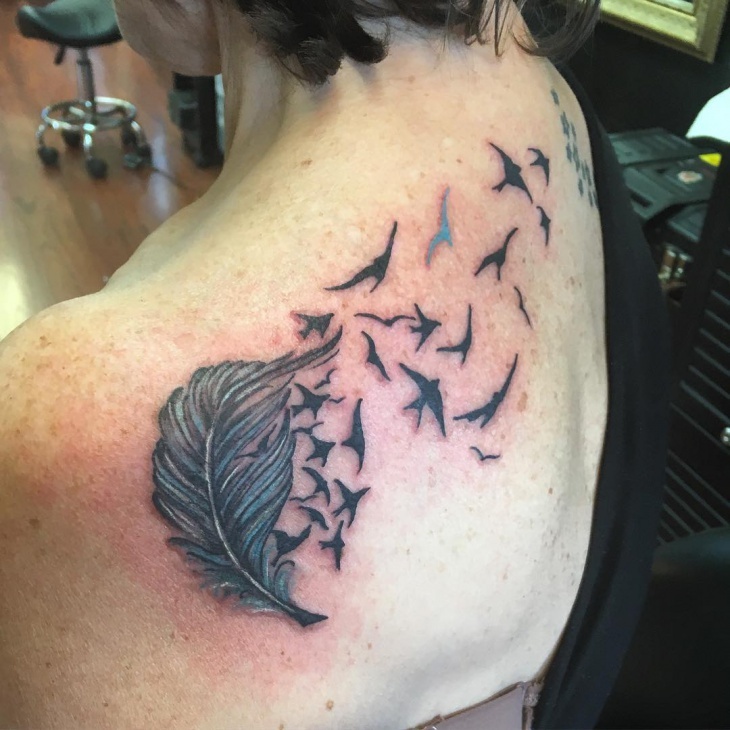 Instead of a whole bird, why not go for a simple bird feather tattoo. The simplicity of these designs is what makes them a favorite for men as well as women. 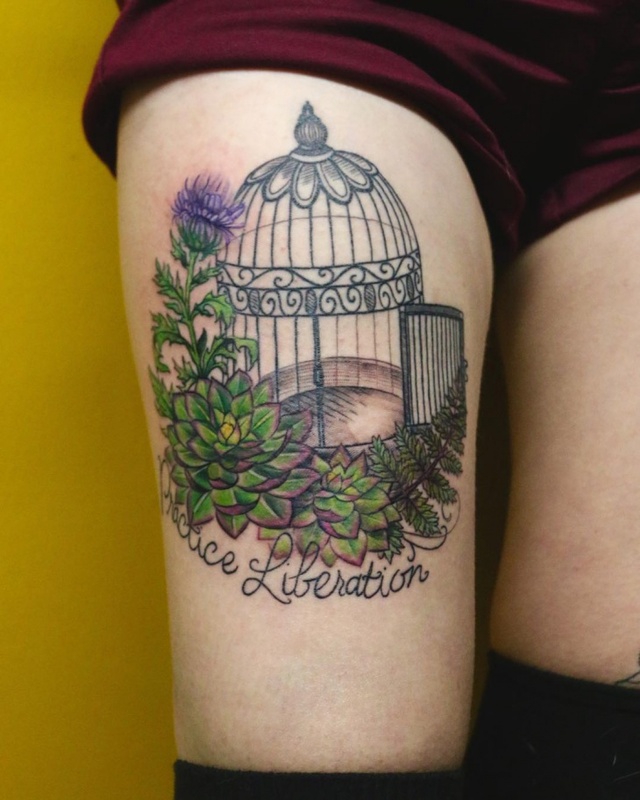 For decorative purposes, go for a peacock or ostrich feather hand tattoo. 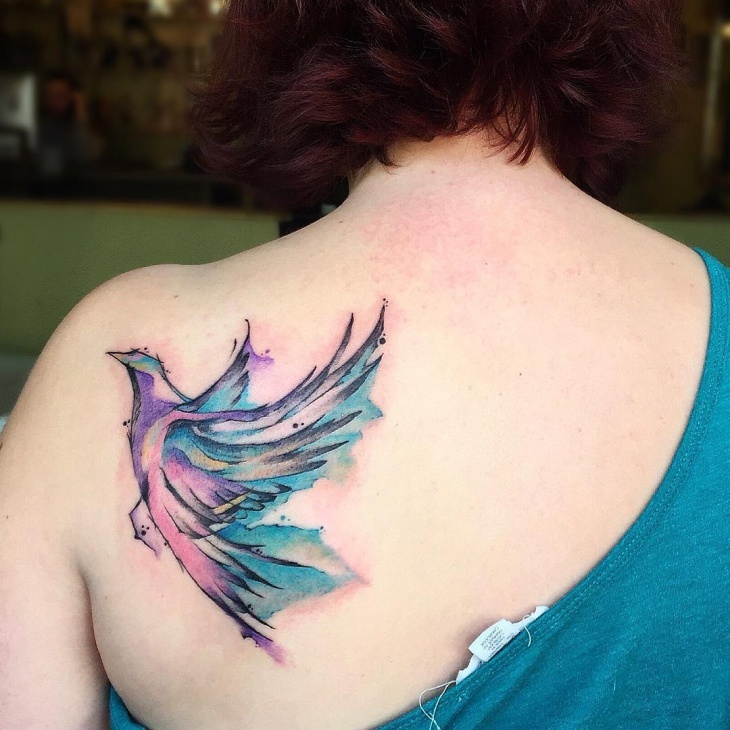 If you are fond of trendy designs, then watercolor bird tattoos are perfect for you. 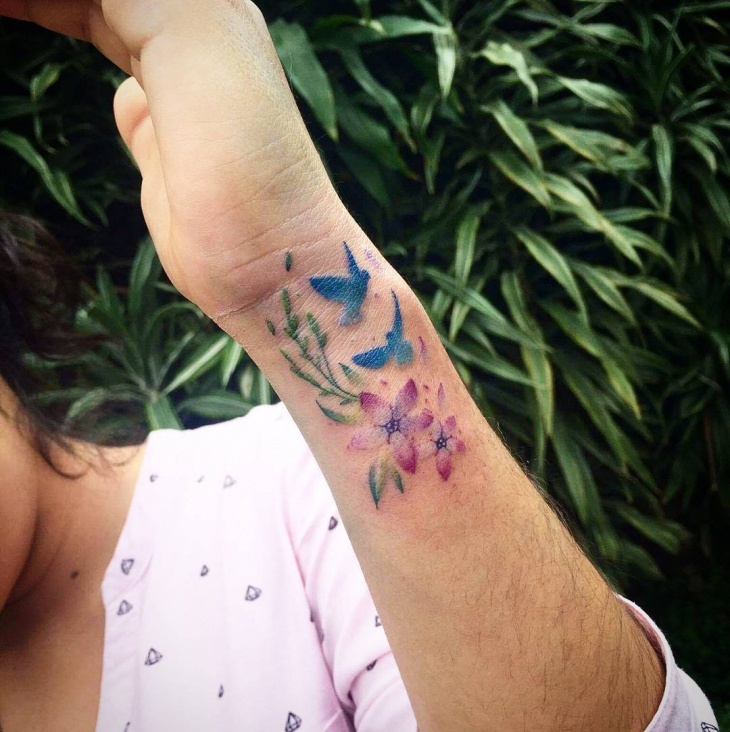 These tattoos are bold and bright in color making them suitable for ladies. 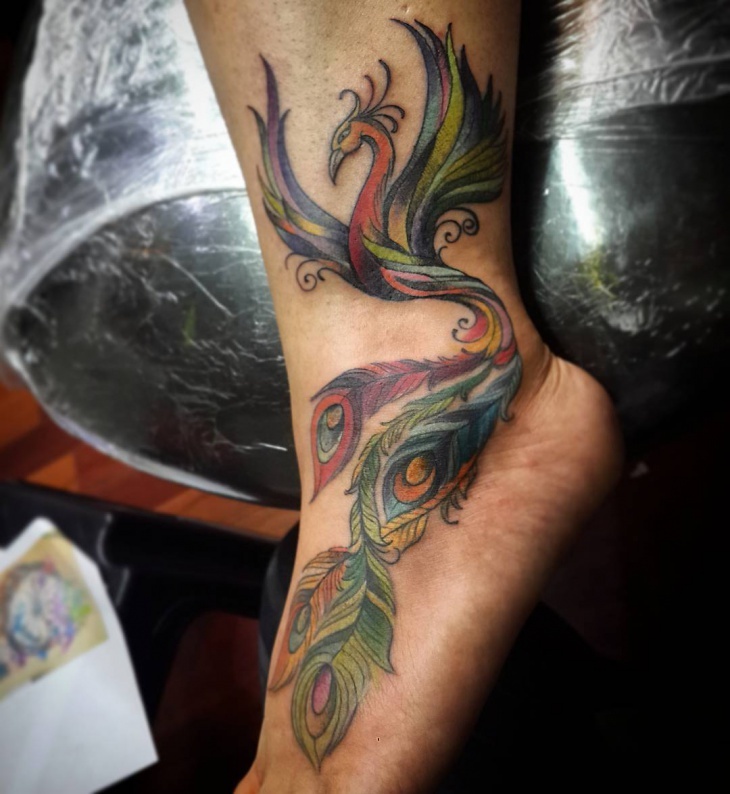 The outline of the bird’s body will decorate your body while showcasing the tattoo artist creativity. Tribal bird tattoos feature dark lines and swirling patterns done in black ink only. Suitable for men, you can take any bird that has your characters and draws it on the sleeves or chest. To give your tattoo an edge, add a flower such as a red rose or draw an eagle in a Celtic style. 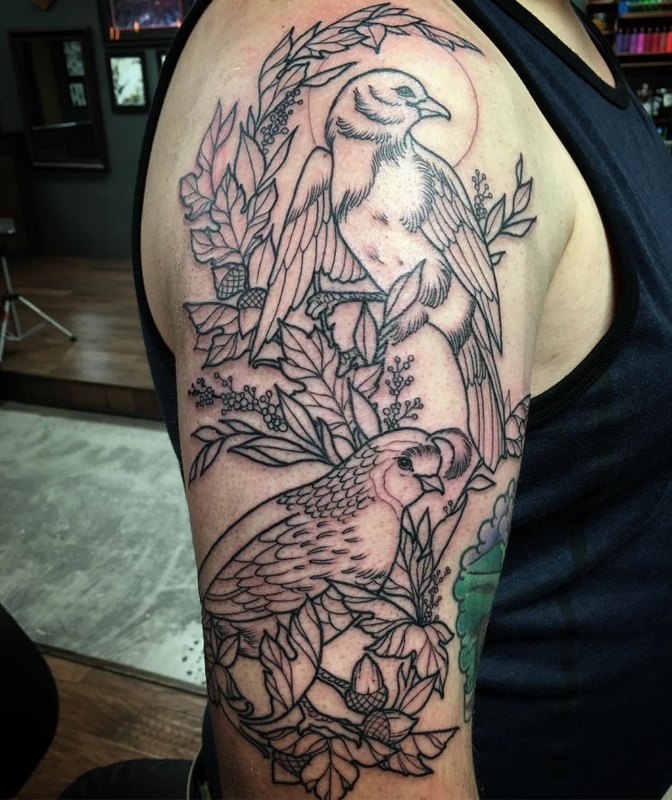 This shoulder tattoo, especially for men, has adequate space on which you can ink your favorite bird tattoo designs. Instead of one shoulder, opt to show a different bird on each shoulder to portray your mixed ethnic background. Do you love adventure? If yes, then a blue swallow tattoo can help describe your travels. These birds often migrate to avoid extreme weather conditions and symbolize knowledge, wealth, and perseverance. You can also ink the eastern bluebird or mountain bluebird. 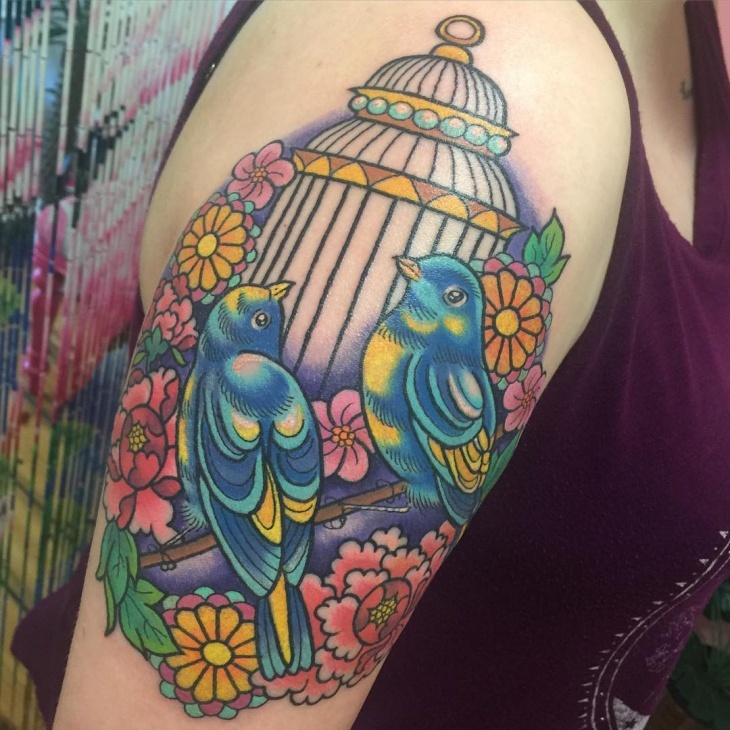 If you love geometric designs, then you will appreciate bird cage tattoos. The thin intersecting lines of the cage and the intricate pattern of the bird makes a stunning image that many will admire. For a cool look incorporate delicate flowers. 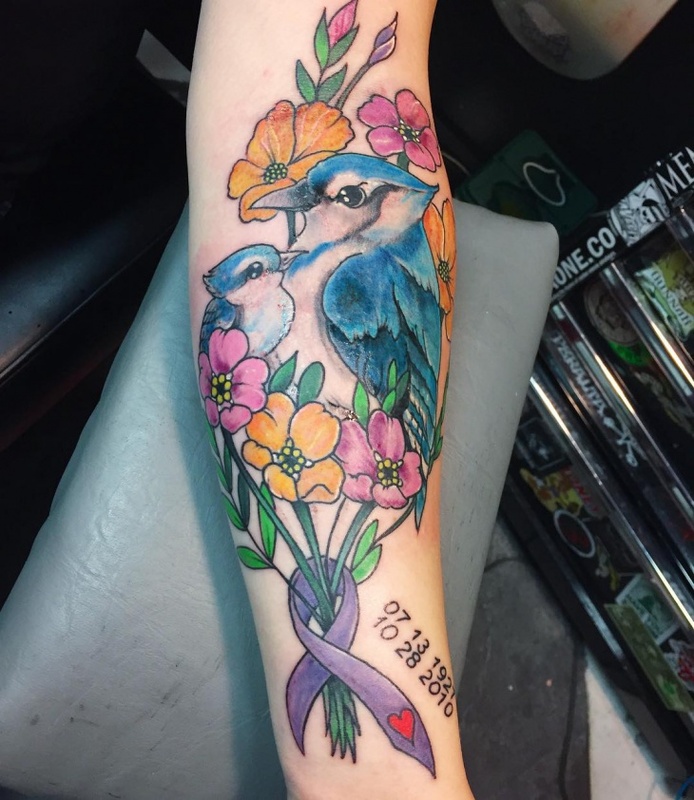 Include other designs like a vine or a tree with your bird tattoo. 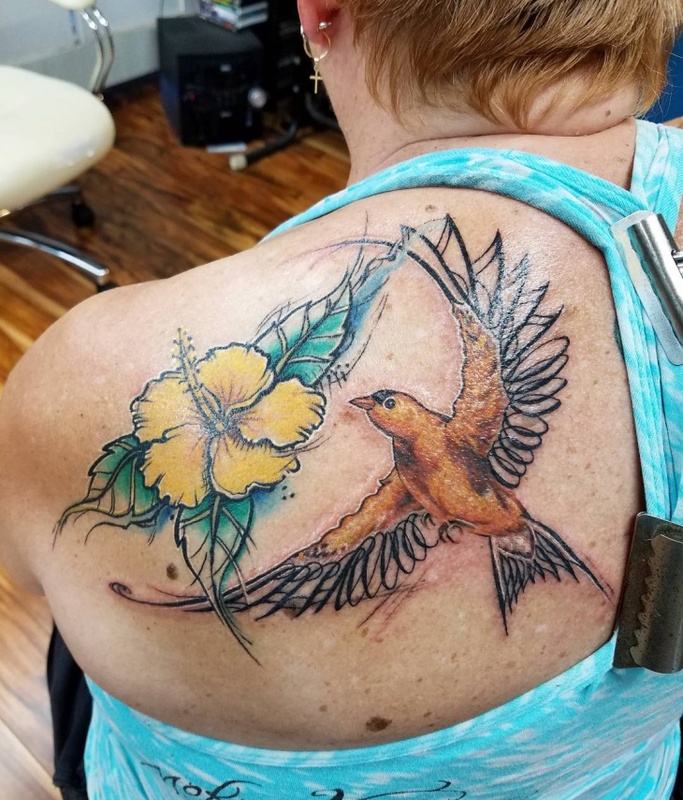 A dove tattoo will look beautiful on lady’s shoulder. 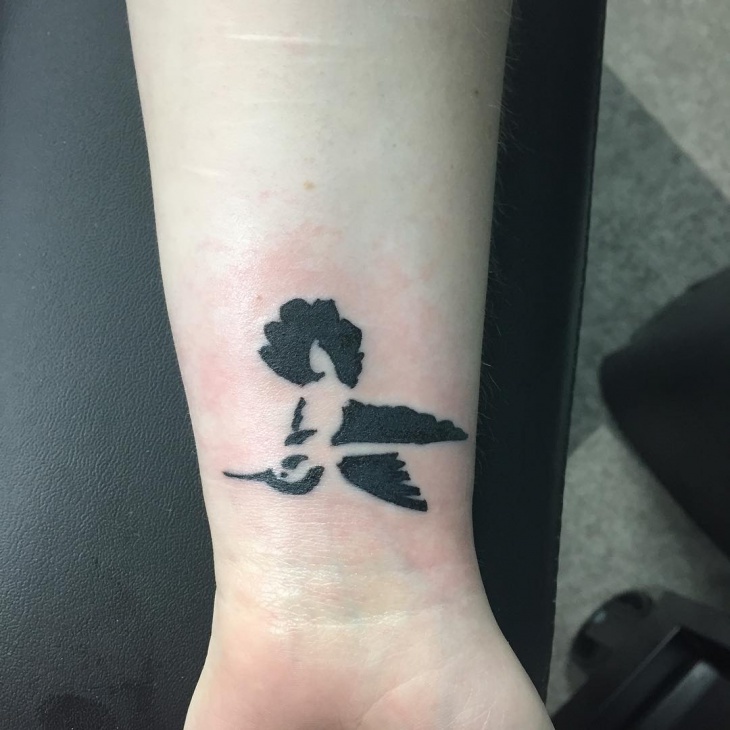 Ink your tattoo in a 3D style to make it more authentic. 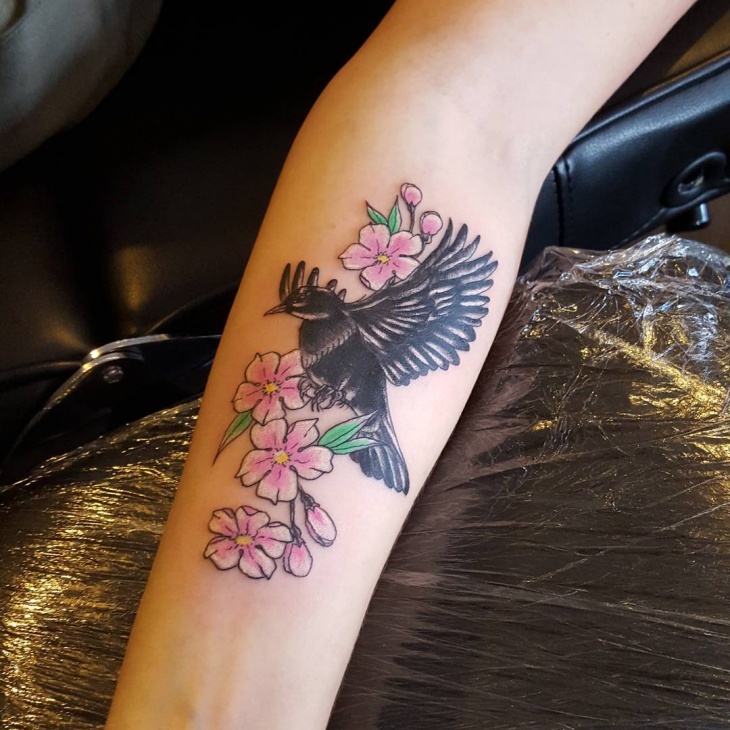 The world is full of different species of birds with a multitude of symbolic meanings hence you are bound to get a design that will showcase your personality. 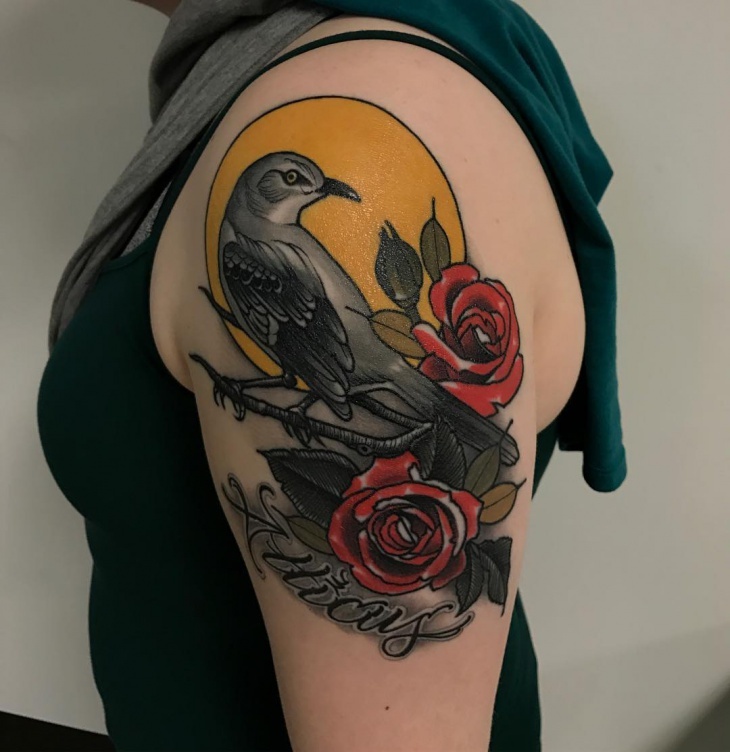 For sleeve tattoos, you can choose birds such as the powerful eagle, mysterious owl, beautiful peacock or mythological Phoenix and show them in full flight.